Friday 31st May 2013 – 8.30pm – Steve Parry. 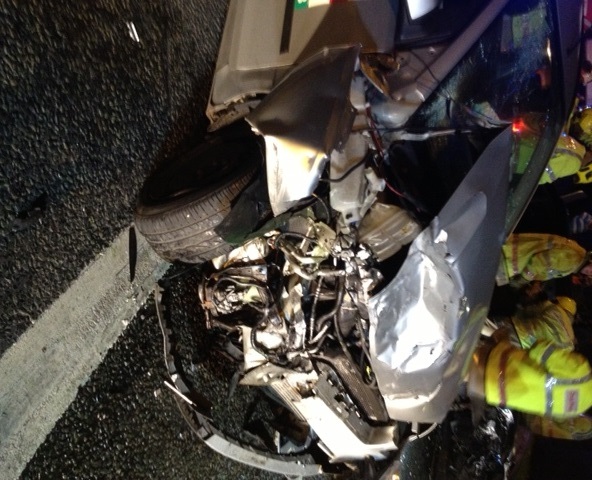 West Midlands Ambulance Service attended two road traffic incidents during the early evening of Friday. A motorcyclist was taken to hospital following a road traffic collision involving a car in Stourport at approximately 6.15pm. West Midlands Ambulance Service was called to the incident at the junction of Stagborough Way and Lower Lickhill Road. A paramedic in a rapid response vehicle and the Midlands Air Ambulance from Tatenhill attended the scene. A West Midlands Ambulance Service spokesman said: “Crews treated a male motorcyclist in his twenties for a serious leg injury. The patient was conveyed by air ambulance to the Queen Elizabeth Hospital in Birmingham for further assessment and treatment. In a separate incident on Callow Hill Lane, Redditch at 5.35pm two female patients were treated by ambulance crews following a collision between the car in which they were travelling and a lorry. A West Midlands Ambulance Service spokesman said: “Crews treated a female passenger in her twenties for facial lacerations, fractured arm and pelvic injuries. The patient was taken to the Queen Elizabeth Hospital by land ambulance. Friday 31st May 2013 – 12.15pm – Chris Kowalik. A woman has been airlifted to a major trauma centre after the car she was driving collided with a large motorhome-style vehicle in Herefordshire. 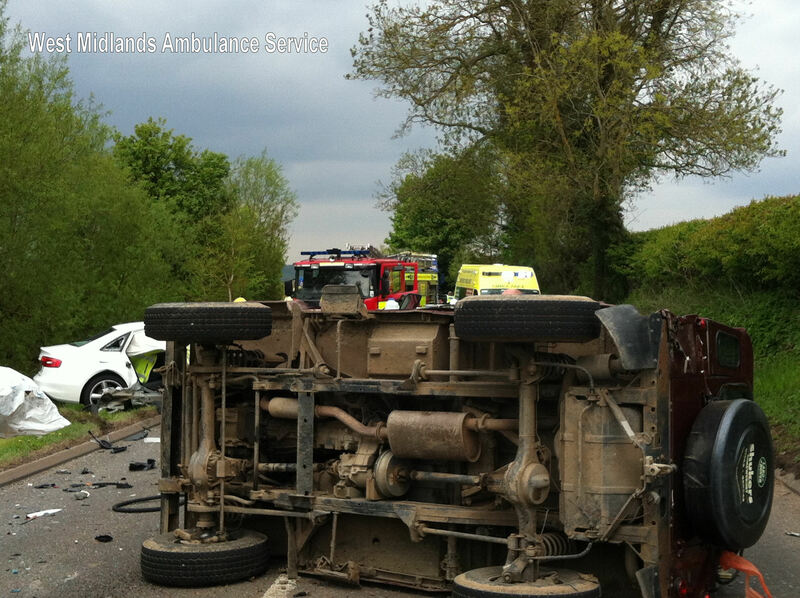 West Midlands Ambulance Service was called to the A465 in Ocle Pychard shortly after 9.45am today. Friday 31st May 2013 – 11.10am – Chris Kowalik. A Community Paramedic from Ledbury is to embark on a Ten Peaks Challenge in Cumbria to raise money for a new Young Person’s Room at a hospice in Herefordshire. He’ll be fundraising for “Beth’s Wish”, a charity named after family friend Bethan Davies who died of cancer last year aged 20. Before her death, she was looked after at St. Michael’s Hospice. The fundraising drive aims to raise £100,000 for a dedicated Young Persons’ Room in Beth’s memory in a new state-of-the-art extension due to be built at the hospice in Bartestree. 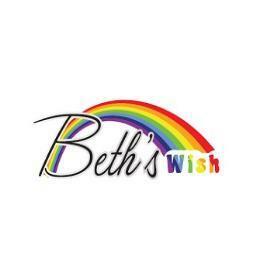 Details of the “Beth’s Wish” charity can be found on facebook (search for the group “bethswish”). Friday 31st May 2013 – 6.30am – Suzie Fothergill. 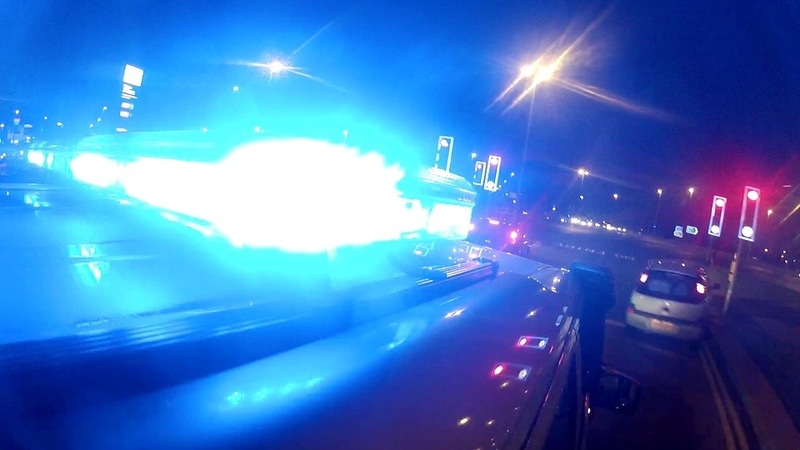 A man has been taken to hospital following a road traffic collision on Foleshill Road in Coventry shortly after 10pm yesterday evening (Thursday). West Midlands Ambulance Service dispatched two ambulances and a paramedic area support officer to the scene. A West Midlands Ambulance Service spokeswoman said: “Crews arrived on scene to find two cars that had been in collision. One of the vehicles had also been in collision with a bus stop. “All of the occupants from both vehicles were out of their cars on the crew’s arrival. “One man, who had been travelling in the vehicle that had collided with the bus shelter was treated for an ankle injury and conveyed to University Hospital of Coventry and Warwickshire for further assessment and treatment. “The remaining three occupants from the same vehicle, all men, and two occupants from the second vehicle, a man and a woman, were assessed at the scene by crews but did not require any further treatment. If used pictures must be credited to West Midlands Ambulance Service. 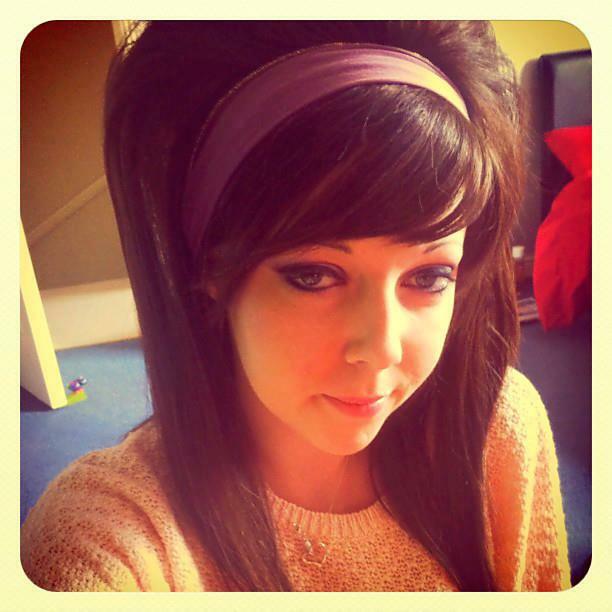 Thursday 30th May 2013 – 3.30pm – Suzie Fothergill. Two men have been taken to hospital following an incident in Sutton Coldfield today. West Midlands Ambulance Service was called to reports of a fire in a residential property off College Road in New Oscott shortly before 11.10am this morning. Two ambulances, a rapid response vehicle, a paramedic area support officer and the West Midlands CARE Team were dispatched to the scene. A West Midlands Ambulance Service spokeswoman said: “Crews arrived on scene to find two men outside of the property. “One of the men was treated for severe smoke inhalation. Emergency medical treatment was provided to the man and he was conveyed to Queen Elizabeth Hospital Birmingham for further assessment and specialist treatment. The hospital was alerted to the arrival of the man and of his serious condition. Wednesday 29th May 2013 – 4.45pm – Claire Brown. 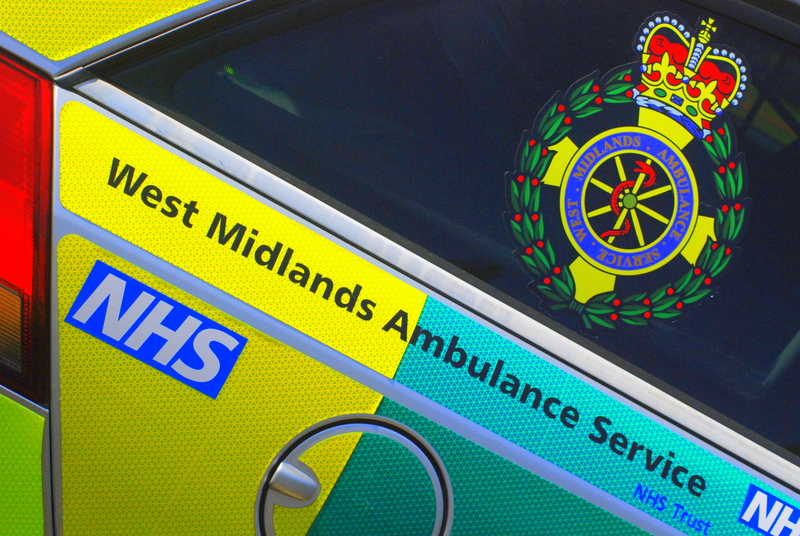 A man has suffered a serious leg injury in a two car collision in Wolverhampton this afternoon. West Midlands Ambulance Service was called to Holyhead Road in Codsall just after 2.00pm earlier today (Wednesday). Two ambulances, the Midlands Air Ambulance from Tatenhill, a paramedic area support officer and a rapid response vehicle attended the scene. A West Midlands Ambulance Service spokeswoman said: “Two cars had been involved in a collision and when crews arrived the driver of one car, a man believed to be in his 20s, was still in his vehicle. “Crews assessed the man and found he had suffered a fractured leg and grazes to his shoulder in the crash. Once the man received initial treatment and had been given advanced pain relief by the critical care paramedic off the helicopter, crews worked with the fire service to carefully extricate him from the car. “The man was immobilised with a neck collar, spinal board and leg splint before being taken by land ambulance to New Cross Hospital. The critical care paramedic travelled in the ambulance to hospital. Tuesday 28th May 2013 – 8.40pm – Murray MacGregor. One man has been cut free from the wreckage of the car he was in after four vehicles were involved in a crash in the Dudley area. Three ambulances, a rapid response vehicle, a paramedic officer and the MERIT Trauma Doctor were sent to the scene. A West Midlands Ambulance Service spokesman said: “On arrival crews found three cars that had been involved in a collision and a ‘scooter’ type vehicle on its side nearby. One of the cars, a silver Toyota had suffered significant intrusion into the passenger compartment. The driver, a 47 year old man was trapped for a while, while fire and ambulance staff worked to free him. He was complaining of chest and abdominal pain. He was given pain relieve and was immobilised using a neck collar and spinal board before being taken to the Major Trauma Centre at the Queen Elizabeth Hospital Birmingham. “The driver of a black car, a man in his 20s, was checked over by ambulance staff but was discharged on scene. The driver of the third car involved, an elderly lady, was also assessed at the scene but did not need hospital treatment and was taken home by police officers. A young woman has had to be cut free from the wreckage of her car after it left the road and went into a ditch. The crash happened on the A426 Dunchurch to Southam road near Draycote Water Reservoir and just before the Leam Valley Golf Centre. A number of calls were received at just after 6.00pm on Tuesday evening. An ambulance, a rapid response vehicle, a paramedic officer and a car containing the doctor from the Warwickshire and Northamptonshire Air Ambulance were sent to the scene. A West Midlands Ambulance Service spokesman said: “On arrival, crews found a car wedged in a ditch. The only occupant, a woman of approximately 20 years was trapped and complaining of pains in her shoulder, neck and back. “Ambulance staff worked with firefighters to free her which took around 45 minutes as the roof and side of the car had to be removed to extricate her. Tuesday 28th May 2013 – 4.30pm – John Hawker. West Midlands Ambulance Service can confirm it was called to a crash on the M6 South bound, between junction 1 and Catthorpe at around 10.50am this morning. An ambulance, a paramedic officer, the Warwickshire and Northamptonshire Air Ambulance, a response car from WNAA and also an ambulance from East Midlands Ambulance Service attended the scene. A West Midlands Ambulance Service spokesman said: “Crews arrived to find two HGV’s, a van and a car that are believed to have been in a serious collision. “Unfortunately, it quickly became apparent that nothing could be done to save one of the lorry drivers who had been injured in the crash, and he was confirmed dead at the scene. “The second lorry driver, a man believed to be in his 50’s, received treatment at the scene but did not require further hospital treatment. “The woman travelling in the car, believed to be in her 40’s, suffered neck injuries and received treatment at the scene. She was immobilised using a spinal board and neck collar and transferred by land ambulance to University Hospital Coventry and Warwickshire. 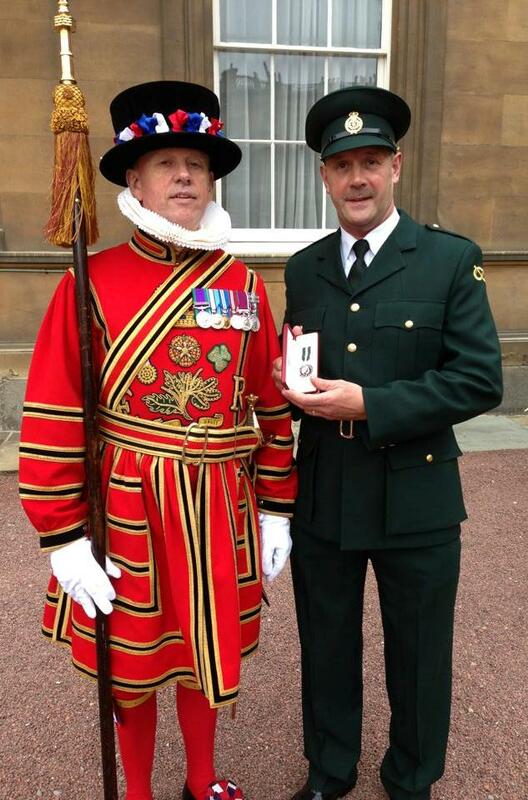 Staffordshire Paramedic, Ray Edensor has been presented with a Queens Ambulance Service Medal at Buckingham Palace. Ray received the honour on Tuesday 21st May and is just one of a handful of people to have been awarded with this prestigious medal within the whole of Great Britain. The Queen’s Ambulance Service Medal for Distinguished Service was introduced on 11th July 2011, with the first of the awards being given in the 2012 Birthday honours list. The award ensures that the dedication of ambulance staff has the same level of Royal recognition as other members of the emergency services. Those recommended for the Medal will have usually have completed at least 10 years good conduct and exemplary service, and will have shown distinguished or commendable service. Ray was nominated by a number of people within the community. His citation read: ‘Known as the ‘Running Paramedic’, Raymond has helped raise in excess of £250,000 for the Dreams Come True Charity who supports terminally ill children. He has twice run from Stafford to London followed by the London Marathon dressed in full decontamination equipment which he wore for 24 hours. Ray, who has served in a number of roles within the ambulance service over the last 30 years said: “I feel very honoured to receive this award. In my service I have seen some heart-warming incidents as well as many heart-breaking tragedies. A picture of Ray receiving his medal from the Queen can be obtained by contacting the British Ceremonial Arts via info@bcafilm.co.uk or calling 01189776800. 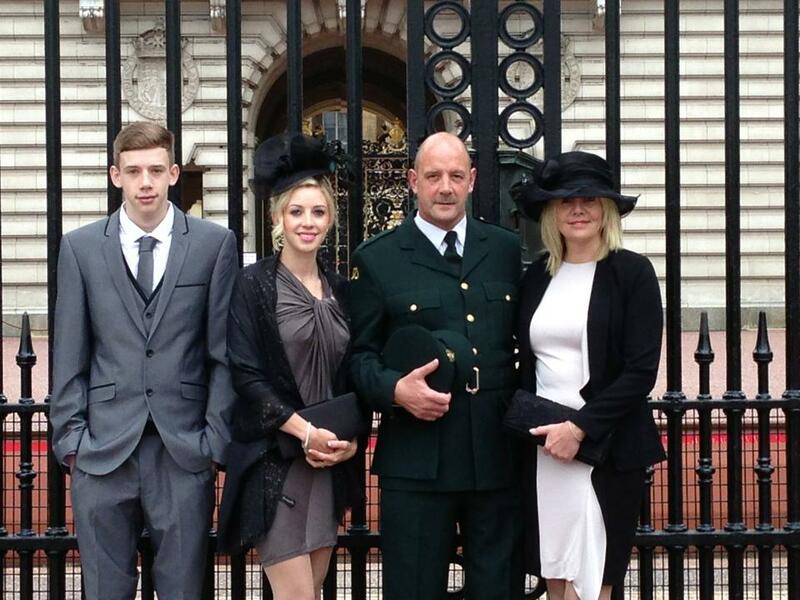 Pictured: Ray and his family at Buckingham Palace. Sunday 26th May 2013 – 8.30pm – Claire Brown. A man has been airlifted to hospital in a serious condition following a hang glider crash in Shropshire. West Midlands Ambulance Service was called to the Midland Gliding Club on Long Mynd, Church Stretton, shortly before 6.00pm this evening (Sunday). An ambulance, a community paramedic and the Midlands Air Ambulance from Strensham attended the scene. A West Midlands Ambulance Service spokeswoman said: “The 31 year old man had reportedly been hang gliding when he crashed on landing. Crews assessed the man and found he had sustained serious neck and back injuries. He was given pain relief to help stabilise his condition before crews worked carefully to immobilise his neck and back with the use of a neck collar, spinal board and pelvic splint. Sunday 26th May 2013 – 6.30pm – Claire Brown. Two children have been airlifted and five other patients have been injured in a two car road traffic collision on the M6 in Wolverhampton. 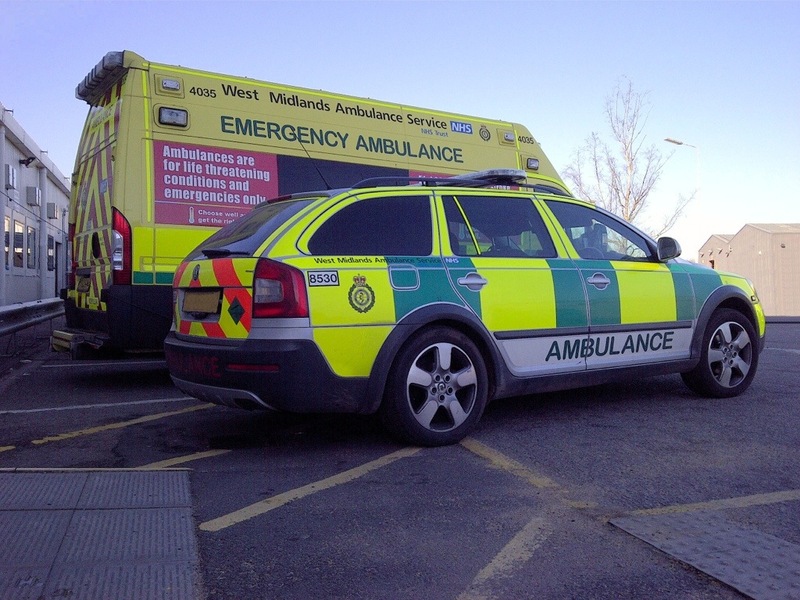 West Midlands Ambulance Service received several 999 calls to the southbound carriageway of the M6 by Hilton Park Services shortly after 4.20pm this afternoon (Sunday). Three ambulances, two paramedic area support officers, a senior paramedic officer, the West Midlands Central Accident Resuscitation and Emergency (CARE) Team medics, the Midlands Air Ambulance from Tatenhill and Cosford, one with the MERIT trauma doctor on board, attended the scene. “A woman and her three children were in one car. Four off duty paramedics from another ambulance service were providing emergency treatment to two of the children. 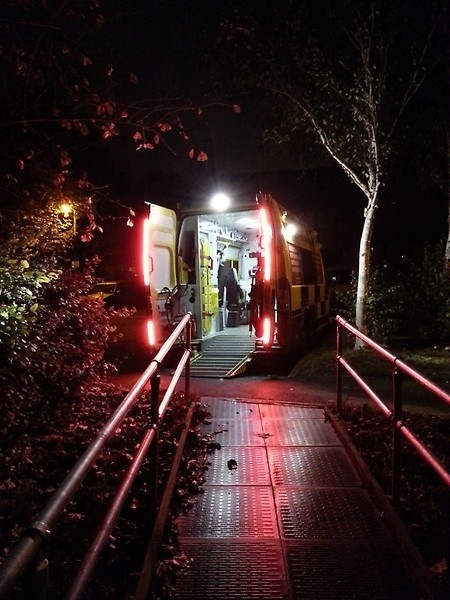 Medics and ambulance crews continued treatment on scene; one child suffered a leg injury and was immobilised and stabilised and the other was described as being in a critical condition. Both were airlifted to Birmingham Children’s Hospital for further emergency treatment; medics travelled in the helicopter to continue vital treatment en route. “The third child and the mother suffered relatively minor injuries and were taken by land ambulance to the same hospital. Notes to Editors: I am afraid I have no more details regarding this case and am unable to provide the ages or sexes of the children airlifted. Please contact Staffordshire Police with media enquiries. More details on M6 RTC will be issued soon. Motorists are advised to avoid M6 between J11-10a and find alternative routes. 3 ambulances, 3 paramedic officers, a responder paramedic, @MAAHMED03 with a doc, @MAAHMED09 & @wmcareteam went to M6 RTC at 4.22pm. Sunday 26th May 2013 – 9.45am – Claire Brown. 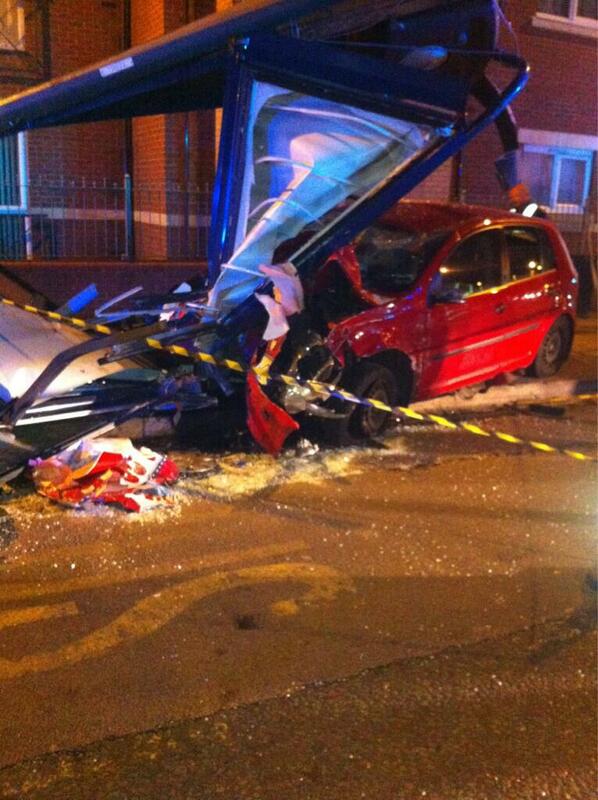 Five people have escaped serious injury after a two car collision in Stoke on Trent in the early hours. West Midlands Ambulance Service was called to King Street in Fenton just before 1.00am this morning (Sunday). Three ambulances, a paramedic area support officer and a BASICS doctor attended the scene. A West Midlands Ambulance Service spokeswoman said: “Two cars had been involved in a significant collision causing extensive damage to both cars. Four occupants were in one car, all men believed to be in their 20s and 30s. “The driver was initially trapped in the vehicle due to the damage. Upon assessment by crews and the medic, it was found that the man had no apparent serious injuries. They worked with the fire service to release him from the vehicle and, due to the nature of the crash and the damage sustained, the man was taken to University Hospital North Staffordshire as a precaution. “One passenger suffered a minor leg injury, the other a facial injury and the third a slight head injury. All three were treated on scene before being taken to the same hospital. “The driver in the second car was visibly shaken and was taken to hospital as a precaution. Saturday 25th May 2013 – 10.00pm – Claire Brown. A woman has been seriously injured after being involved in a collision with a car outside Sandwell Hospital in West Bromwich earlier this evening. West Midlands Ambulance Service was called to All Saints Way shortly after 7.00pm (Saturday). Two ambulances were quickly on scene. A West Midlands Ambulance Service spokeswoman said: “The first ambulance was on scene in less than a minute as it was just leaving Sandwell Hospital when the 999 call came in. “The woman pedestrian, believed to be in her 60s, sustained a fractured hip and ankle, a suspected fractured pelvis and pain in her chest and abdomen. “Crews administered pain relief to help stabilise her and make her more comfortable whilst they continued to assess her injuries. The woman was immobilised with a neck collar and spinal board before being taken by land ambulance on blue lights to Queen Elizabeth Hospital Birmingham, a specialist trauma centre, for further emergency treatment. Saturday 25th May 2013 – 7.30pm – Claire Brown. West Midlands Ambulance Service has responded to two separate cases involving cyclists in Warwickshire today. The first incident took place at 11.30am this morning near to Binton Social Club in Binton, Stratford-upon-Avon. A responder paramedic and the Derbyshire, Leicestershire and Rutland Air Ambulance with a medic on board attended the scene. The next 999 call was to reports of a woman who had come off her mountain bike at 4.50pm this afternoon in Brailes, Banbury. An ambulance, a responder paramedic and the Warwickshire and Northamptonshire Air Ambulance was sent to the scene. A man has been taken to hospital following a collision involving a car and a motorcycle in Oswestry this morning. The incident happened on the A5 near Aston at 11.00am (Saturday). An ambulance and the Midlands Air Ambulance from Cosford with a MERIT trauma doctor on board attended the scene. A West Midlands Ambulance Service spokeswoman said: “Crews arrived to find a motorcyclist and a car which had been involved in a collision. The motorcyclist, a man believed to be in his 40s, sustained fractured wrists and a suspected head injury in the crash. “Crews and the doctor administered pain relief to the man to stabilise his condition and immobilised him on scene before he was airlifted to Royal Shrewsbury Hospital for further assessment and treatment. Friday 24th May 2013 – 9.15pm – Claire Brown. A man has been airlifted to hospital after being injured in a collision involving an articulated lorry and a transit van on the M42 near the Birmingham and North Warwickshire area. West Midlands Ambulance Service was called to the southbound carriageway of the M42 between junctions 9 and 8 at 7.20pm this evening (Friday). An ambulance, a paramedic area support officer, a MERIT trauma doctor and the Midlands Air Ambulance from Strensham attended the scene. A West Midlands Ambulance Service spokeswoman said: “Crews arrived to find a van and a lorry which had been in a significant collision. The van sustained serious front end damage. The driver of the van, a man in his 40s, was mechanically trapped in the vehicle due to the damage. Ambulance crews and the doctor assessed him to find he had suffered suspected pelvic, lower limb and abdominal injuries. “He was given advanced pain relief by the doctor before ambulance crews, the doctor and the fire service worked as a team to carefully extricate the man from the wreckage. The man was fully immobilised with a neck collar and spinal board before being airlifted to Queen Elizabeth Hospital Birmingham, a specialist trauma centre. The doctor travelled in the helicopter to continue treatment and assessment en route. Friday 24th May 2013 – 5.00pm – Claire Brown. As well as cash, mortgages and insurance, a bank in Wolverhampton is now offering locals life-saving treatment. 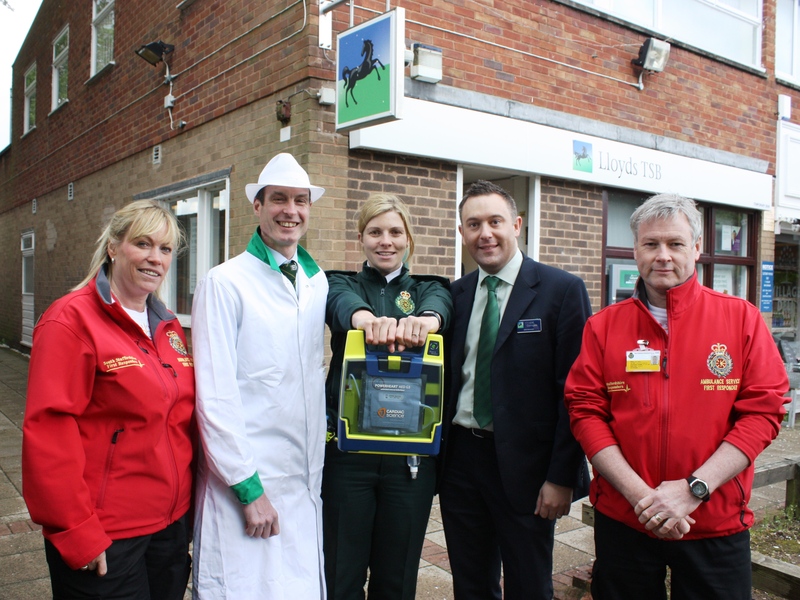 Lloyds TSB on Station Road in Codsall is now home to a community public access defibrillator (PAD); a device used to restart someone’s heart when they’ve suffered a cardiac arrest. The defibrillator, located in a yellow box on the wall of the bank, is secure but publicly accessible in the event of an emergency. West Midlands Ambulance Service and South Staffordshire First Responders officially handed over the defibrillator earlier today (Friday 24th May). Cliff Connigale, Bank Manager at Lloyds TSB in Codsall, said: “It’s all about the local community. When Emma (Wilkins) told me about how vital defibrillators are it was something we were keen to help with. 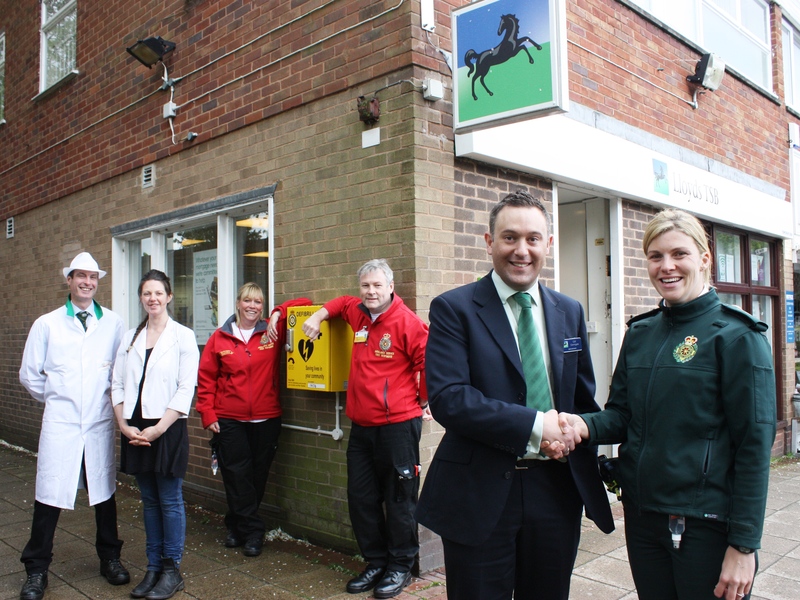 Emma Wilkins, the Trust’s Black Country Community Response Manager, said: “Thank you to Lloyds for giving a defib a home and thank you to the other businesses in Codsall for supporting the scheme. It’s an ideal place for this device because it’s in the heart of this busy and bustling little village so everyone knows where it is. It’s important that the ambulance services supports communities like this so that locals know what to do in an emergency to help one another. To find out more about the yellow box on the wall at Lloyds TSB, come along to Parish Rooms on Church Road in the village between 9.00am and 12.30am on Saturday the 15th June. South Staffordshire First Responders and Emma Wilkins will be running an informal drop-in session to give locals the opportunity to get hands-on with the defibrillator and learn how to save a life. Pictured (photograph one) left to right: Steve Bennett (local butcher), Franchesca Jones (coffee shop and deli owner), Louise Davies and Andy Caddick (CFRs), Cliff Connigale (Bank Manager) and Emma Wilkins (Black Country Community Response Manager). Thursday 23rd May 2013 – 7.30pm – Claire Brown. A man has been taken to hospital in a critical condition following a crash in Herefordshire this afternoon. West Midlands Ambulance Service was called to the A4103 in Ridgeway Cross, near Cradley at around 4.30pm today (Thursday). Two ambulances, the Midlands Air Ambulance from Strensham airbase, a senior paramedic officer, a responder paramedic and a paramedic area support officer attended the scene. A West Midlands Ambulance Service spokeswoman said: “Crews arrived to find two cars which had been involved in a collision. The driver of one car, a man, was in cardiac arrest and being given CPR by bystanders. “Crews immediately took over resuscitation attempts, administering advanced life support on scene before the man was conveyed to Hereford Hospital; resuscitation efforts continued en route. “Hospital medics were pre alerted to the arrival of the man who, at the time, was in a critical condition. Notes to Editors: I am afraid I am unable to provide a condition check on the man. Thursday 23rd May 2013 – 7.00pm – Claire Brown. A man and a woman have died in a road traffic collision in Oldbury this afternoon. 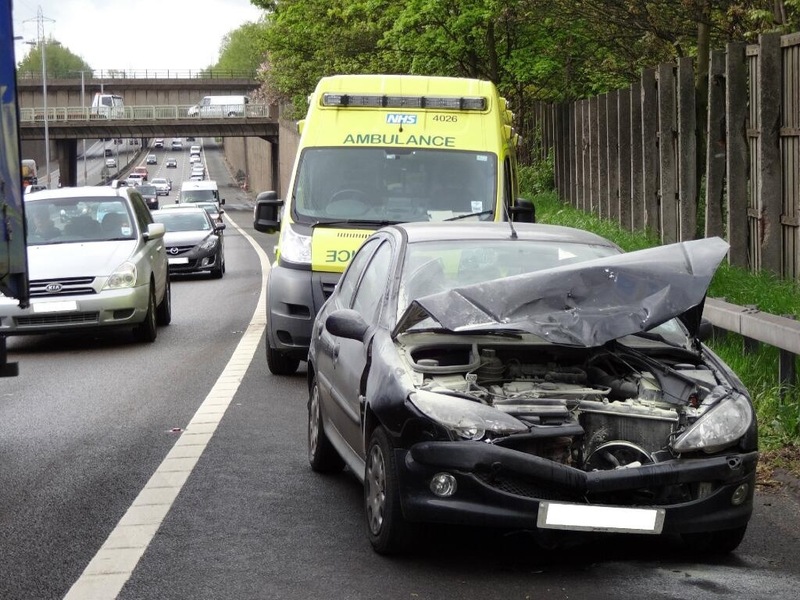 West Midlands Ambulance Service received a 999 call to reports of a collision involving two cars on the A4123 Wolverhampton Road at the junction of Brandhall Road shortly after 1.20pm earlier today (Thursday). Four ambulances, a paramedic officer, the Midlands Air Ambulance from Strensham and the Trust’s Hazardous Area Response Team (HART) attended the scene. A West Midlands Ambulance Service spokeswoman said: “When crews arrived they found two cars which had been involved in a significant collision. A man and a woman were in one car and were both in cardiac arrest. “Sadly, it quickly became apparent to crews that nothing could be done to save the woman and she was confirmed dead at the scene. “Crews pulled the man from the wreckage and administered advanced life support at the roadside. Sadly, despite their best efforts, he was also confirmed dead a short time later. Thursday 23rd May 2013 – 5.10pm – Murray MacGregor. “Enjoy yourself but don’t become an accident statistic.” That is the simple plea from the bosses at West Midlands Ambulance Service who are preparing the Trust for what is traditionally a very busy Bank Holiday weekend. With the weather looking like it might play ball and stay dry and not too cold, literally thousands of people are likely to be out and about over the three day break. Assistant Chief Ambulance Officer, Daren Fradgley, said: “This Bank Holiday is traditionally the time when people start their summer activities and get out and about. “Unfortunately, some of those activities do lead to us receiving 999 calls. This time last year, we dealt with people getting into difficulties in quarries, rivers and on the hills; other people who were injured by lawnmowers; cyclists who suffered head injuries while riding without a helmet; injuries for people camping; cuts, bumps, bruises and worse from DIY disasters and of course a range of crashes on the regions roads. Never use fuel-burning devices (e.g. disposable barbecues, camping stoves, camping heaters, lanterns, and charcoal grills) inside a tent. You could put yourself at risk of suffering carbon monoxide poisoning or a fire. Make sure you take the appropriate gear including waterproofs, suitable footwear and warm clothing. Make sure you leave a note of where you are going and take a mobile phone and maps with you. Whilst it is up to the individual, our recommendation is that you should always wear a cycle helmet and preferably have bright and / or reflective clothing on. Never wear headphones while on your bike; be aware of and show courtesy to other road users. Use appropriate safety equipment such as life jackets, don’t dive into water as you are unlikely to know how deep it is and be aware that at this time of year you could get cold very quickly. Do not put your fingers in places where the blades of the likes of lawn mowers are. Ensure you do not mow over the electricity cable and ensure there is a circuit breaker on all electrical equipment. Do not try and lift things that are too heavy. Store tools out of the way of children and pets. Always use the correct tools for the job. Ladders are one of the main causes of DIY accidents. Wear protective clothing including safety goggles, gloves and dust mask when working with potentially hazardous materials. When fixing or checking electrical appliances or connections, always switch off the power and remove the fuse or circuit breakers. If in doubt, always consult a professional. Allow plenty of time to make your journey and be aware of when the busy periods are likely to be. Don’t drive while you are tired and always use a child safety seat for youngsters. If you are on a motorcycle, please wear leathers and a helmet. Mr Fradgley continued: “All of the above advice is basically common sense yet every year we have to deal with people injured in each of these types of incident. “If you do injury yourself and require help from the NHS, we would ask that you ‘Choose Well’ and make sure you access the most appropriate part of the health service. Thursday 23rd May 2013 – 4.45pm – Chris Kowalik. Would you know what to do if a child began to choke? For a woman in Herefordshire whose two year old daughter had put a 20 pence piece in her mouth, the answer was to slap her on the back. Easy to do, but also easy to forget in the heat of the moment. Two slaps were enough for the girl to cough up the coin but, had it not been for attending a Herefordshire Heartstart course, mother Amanda Ingram would have panicked. Amanda knew what to do thanks to Herefordshire Heartstart which teaches the management of choking, as well as chest pain, severe blood loss and loss of consciousness. The free two-hour course also teaches techniques such as CPR. Anyone aged 10 or over can sign up to a Herefordshire Heartstart course. For more information, visit www.herefordshireheartstart.org or email info@herefordshireheartstart.co.uk or contact the Co-ordinator/project Manager Loraine Coleman on 0845 60 60 654. Herefordshire Heartstart is a registered charity (no. 1082309), supported by West Midlands Ambulance Service. Thursday 23rd May 2013 – 3.00pm – Claire Brown. A Birmingham paramedic has his finger on the pulse in the Black Country after being named Consort to the Deputy Mayor of Dudley. Adam Aston, based at Henrietta Street Ambulance Station in Birmingham City Centre, has worked for West Midlands Ambulance Service for seven years, has been a paramedic since 2008 and is a Staff Governor at the Trust. 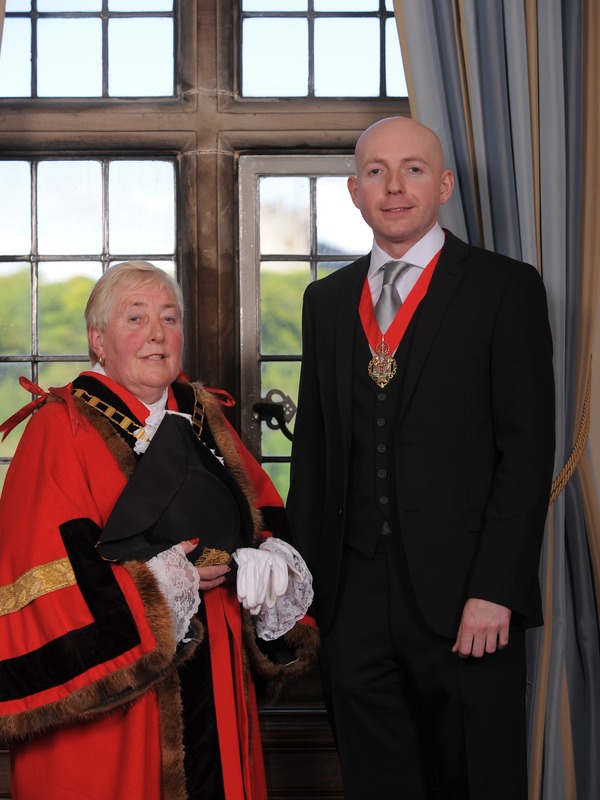 When he’s not saving lives Adam is a Labour Councillor for Dudley Metropolitan Borough Council serving the Upper Gornal and Woodsetton Ward and was named as the new Deputy Mayor’s consort on the 16th May. For the next 12 months, Adam will attend civic engagements and official duties with his mum, Councillor Margaret Aston, who is the borough’s new Deputy Mayor. Adam said: “It’s a real honour and a privilege to be working in the Mayoral team and I’m really looking forward to speaking to the people in our communities who make a real difference to the borough. Notes to Editor – photograph courtesy of Dudley Metropolitan Borough Council. Thursday 23rd May 2013 – 2.22pm – Murray MacGregor. Commuters on the M5 faced delays this morning (Thursday) after a two car crash on the northbound carriageway. The crash happened between junction 3 and 2 at just before 8.00am. A West Midlands Ambulance Service spokesman said: “On arrival crews found an Alfa Romeo with rear end damage and a Peugeot with front end damage. “The driver of a fuel tanker, which had stopped at the scene, had used his fire extinguisher on the Peugeot. “Neither the driver of the Alfa, a 53 year old man from Crawley, or the 23 year old Worcestershire man in the Peugeot suffered serious injuries; both were discharged by ambulance staff at the scene. “Traffic was held at the location while Highways Agency Traffic Officers removed debris from the carriageway. Wednesday 22nd May 2013 – 3.55pm – Chris Kowalik. Veolia Environmental Services, the waste contractor for Shropshire Council has invested in an Automated External Defibrillator (AED) to be available at the Household Recycling Centre in Battlefield, Shrewsbury. A defibrillator is a life-saving machine that could restart the heart of someone who has suffered a cardiac arrest. For every minute that passes without defibrillation, the chance of surviving a cardiac arrest decreases by 10 percent. Research shows that applying a controlled shock within five minutes of collapse provides the best possible chances of survival. The machine has also been logged on the West Midlands Ambulance Service register so the information that a local AED is available in the location will be available to control room staff for any incidents in the vicinity of the Site. All Veolia staff within the Household Recycling Centre (HRC) and the offices have been taught how to use the machine by trainers from the company and West Midlands Ambulance Service. The idea of getting a defibrillator came from staff member Kay Kendall who works at the Veolia Head Office in Battlefield. In her spare time, Kay is a fully trained volunteer Community First Responder and also has a heart condition herself. 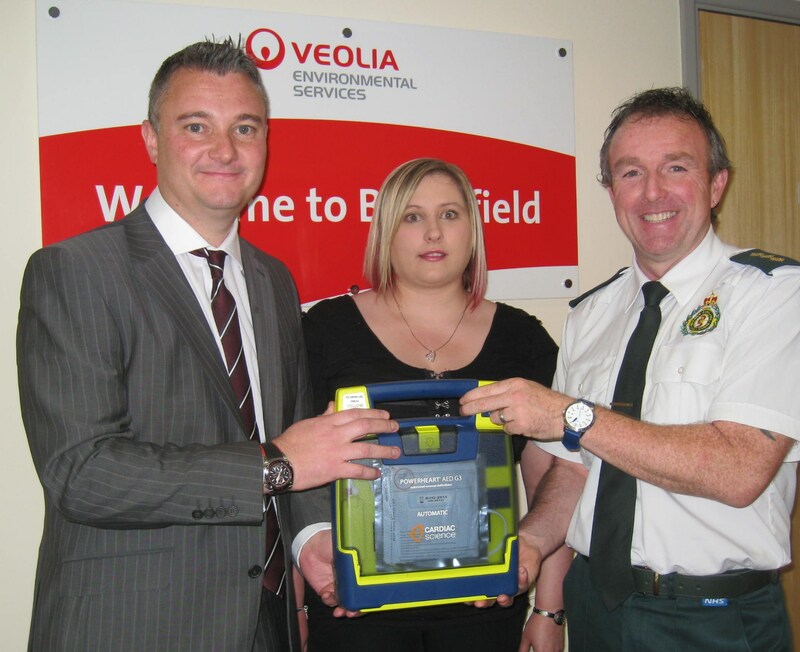 Defibrillators are also to be installed at all other Veolia sites in Shropshire at a total investment of £7,000. In the UK approximately 30,000 people sustain a cardiac arrest outside of hospital. The single most important determinant of survival for a patient is the time from when the person collapses to the delivery of the first single shock from a defibrillator. Survival rates can be as high as 75% if defibrillation is delivered promptly. The chances of successful defibrillation decline by 10% with each minute of delay. Basic life support, through Cardiopulmonary resuscitation (CPR) will help to maintain a shockable rhythm but is not a definitive treatment. Defibrillation is the only way to stop a sudden cardiac arrest. When a sudden cardiac arrest occurs, the heart must be restarted by an electrical shock. Outside a hospital setting, the only way to restart the heart is by using an automated external defibrillator (AED). When an AED is used and electrodes are placed on the victim’s chest, electricity flows from the electrodes through the chest to the heart. When CPR and defibrillation are provided within 8 minutes of an episode, a person’s chance of survival increases by 20%. Pictured left to right: Jon Callaghan, Veolia General Manager for the West Midlands Region, Kay Kendall, Noel Orbell. Tuesday 21st May 2013 – 5.15pm – John Hawker. A man has died and three other people have been injured following a crash on the motorway this lunchtime. 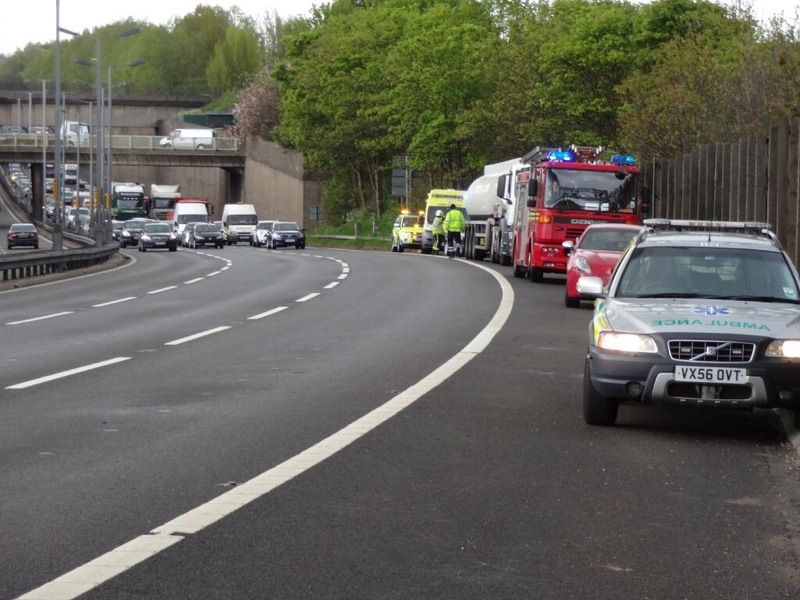 The crash occurred on the M6 Southbound, between 4 and 3a at around 12.50pm. Three ambulances, a paramedic officer, a BASICS Doctor and the Midlands Air Ambulance from Cosford attended the scene. A West Midlands Ambulance Service spokesman said: “Crews arrived to find a vehicle that had left the motorway travelled down an embankment and come to rest on its roof. “Unfortunately, it quickly became apparent that nothing could be done to save the man driving the car and he was confirmed dead at the scene. “A woman passenger in the car, believed to be in her 50’s, suffered multiple minor injuries but was trapped in the vehicle. She received treatment at the scene and was extricated with the help of the fire service. The woman was trapped for around 40 minutes. “She had been immobilised using a spinal board and neck collar and transferred by land ambulance to University Hospital Coventry and Warwickshire for further treatment. Tuesday 21st May 2013 – 10.20am – Chris Kowalik. A couple from north Shropshire have raised £380 for their local volunteer lifesavers by running 10km dressed as superheroes. 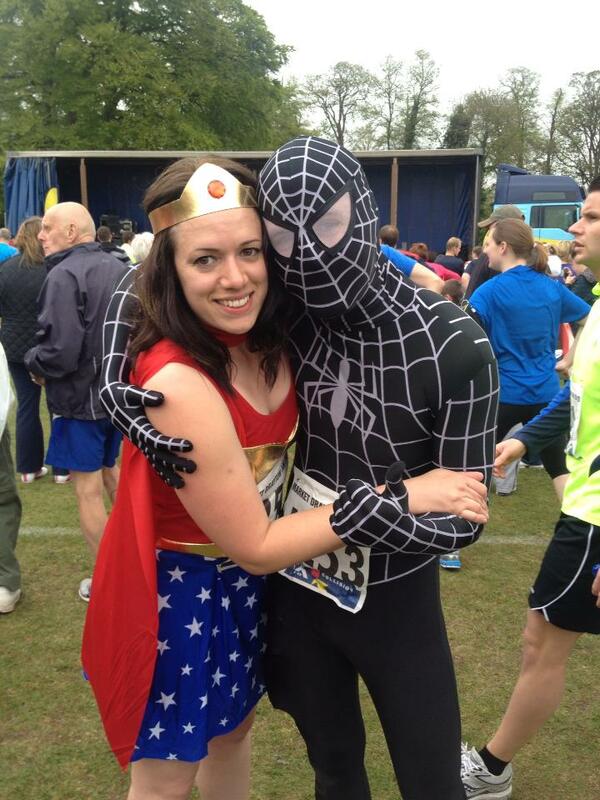 Holly Mayer and Nick Cooper appeared as Superwoman and Spiderman respectively at the event in Market Drayton on Sunday 12th May. They were raising money for North Shropshire Community First Responders, a group of everyday members of the public trained to a nationally recognised standard by West Midlands Ambulance Service in a variety of lifesaving techniques including the use of a defibrillator. They could be sent by the ambulance service’s control room to medical emergencies in their area while an ambulance is on its way. North Shropshire Community First Responders is a registered charity (number 1136523) funded by voluntary donation. Tuesday 21st May 2013 – 8.15am – Chris Kowalik. 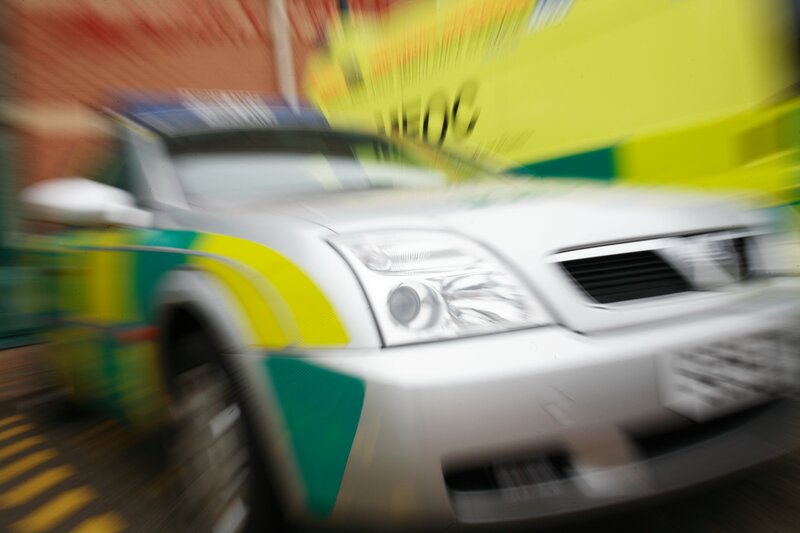 A pedestrian has died following a collision with a car in Birmingham. West Midlands Ambulance Service was called to Trinity Road near its junction with Birchfield Road, Handsworth, shortly after 11.05pm last night (Monday). Two rapid response vehicles and an ambulance crew attended. A West Midlands Ambulance Service spokesman said: “The man had numerous injuries and attempts were made to resuscitate him at the scene and en-route to City Hospital. Sunday 19th May 2013 – 4pm – Steve Parry. Two woman and two children have been taken to hospital following a road traffic incident in Kings Norton, this morning. West Midlands Ambulance Service was called to the junction of Kingsley Road and Woodlands Park Road just before 9.30am. Four ambulances, a paramedic in a rapid response vehicle, a paramedic officer and the Midlands Air Ambulances from Strensham and Cosford were sent to the scene. A West Midlands Ambulance Service spokesman said: “Ambulance crews responded to a road traffic collision involving two cars in Kings Norton this morning. “Four patients from one car were taken by land ambulances to hospital. A female was treated for a serious head injury. The patient was anesthetised by a doctor at the scene before being conveyed to the Queen Elizabeth Hospital. “A female passenger in the car was also conveyed to the Queen Elizabeth Hospital for further assessment and treatment. “Two children aged 10 months and 8 years were taken to the Birmingham Children’s Hospital for further assessment. Sunday 19th May 2013 – 11.50am – Steve Parry. A woman has been taken to hospital after falling from her horse near Keele this morning. The incident occurred in Highway Lane, Keele just before 9.15am. An ambulance, together with two BASICS doctors and the Midlands Air Ambulance from Tatenhill attended the scene. A West Midlands Ambulance Service spokesman said: “Ambulance crews arrived to find a woman had fallen from a horse. “A patient, believed to be in her fifties, was treated for serious head and pelvic injuries. “The woman was immobilised with the use of a splint, neck collar and placed on a spinal board. She was also anesthetised by a doctor before being airlifted to the University Hospital of North Staffordshire for further assessment and treatment. “The hospital was alerted to the serious condition of the patient”. Sunday 19th May 2013 – 7am – Steve Parry. West Midlands Ambulance Service was called to the junction of Brook Road and Effingham Road just after 1.10am. An ambulance, a paramedic in a rapid response vehicle, a paramedic officer and the Medical Emergency Response Incident Team (MERIT) were sent to the scene. A West Midlands Ambulance Service spokesman said: “Ambulance crews responded to a road traffic collision involving a car and tree. “A female driver appears to have been ejected from the vehicle and was found under the car. “The woman in her twenties was released by emergency crews and was found to be in cardiac arrest. “Medics commenced advanced life support and the patient was also treated for serious leg and pelvic injuries. The patient was immobilised with the use of splints, neck collar and place on a spinal board. Saturday 18th May 2013 – 7.45pm – Steve Parry. A motorcyclist has been taken to hospital following a road traffic collision in Fentham Road, Erdington. 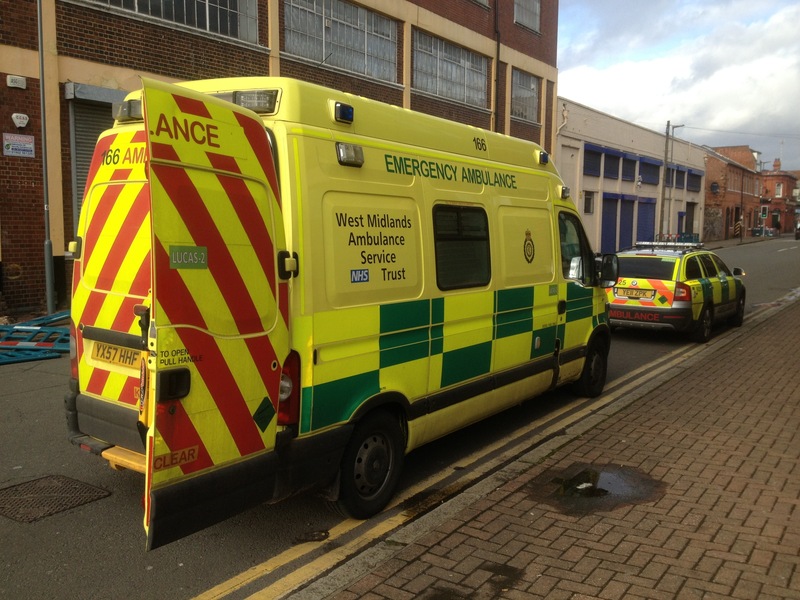 West Midlands Ambulance Service was called to the incident at approximately 6.15pm. An ambulance, a paramedic in a rapid response vehicle, a paramedic officer together with the Warwickshire and Northants Air Ambulance and the Midlands Air Ambulance from Tatenhill attended the scene. 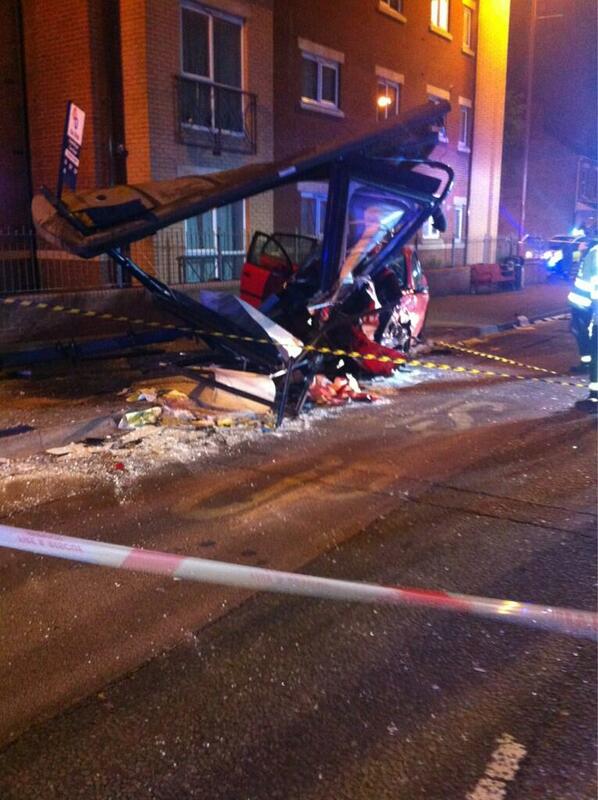 “Crews treated a male in his thirties for serious head injuries. “The patient was anesthetised by a trauma doctor at the scene. The doctor travelled with the patient who was conveyed by land ambulance to the Queen Elizabeth Hospital in Birmingham for further assessment and treatment. 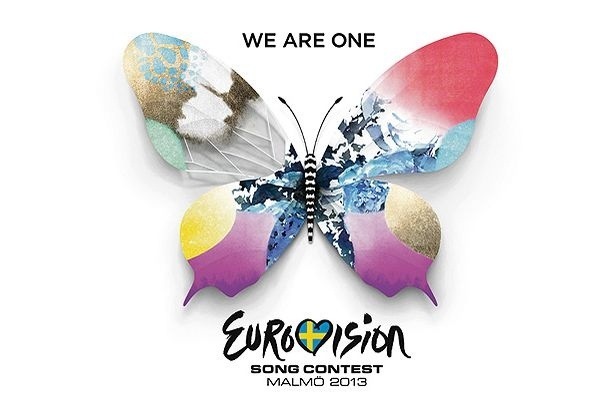 Planning on enjoying the marathon that is #Eurovision – make sure you pace your drinking too or you might miss the best bit – the scoring! Two people have been taken to hospital following a road traffic collision on the B4175 near Wombourne this afternoon. West Midlands Ambulance Service was called to the scene just after 3.15pm. One ambulance, a paramedic in a rapid response vehicle and a paramedic officer, together with the Midlands Air Ambulance based at Cosford, were sent to the scene. A West Midlands Ambulance Service spokesman said: “Ambulance crews responded to a road traffic collision involving a car and landrover towing a trailer. 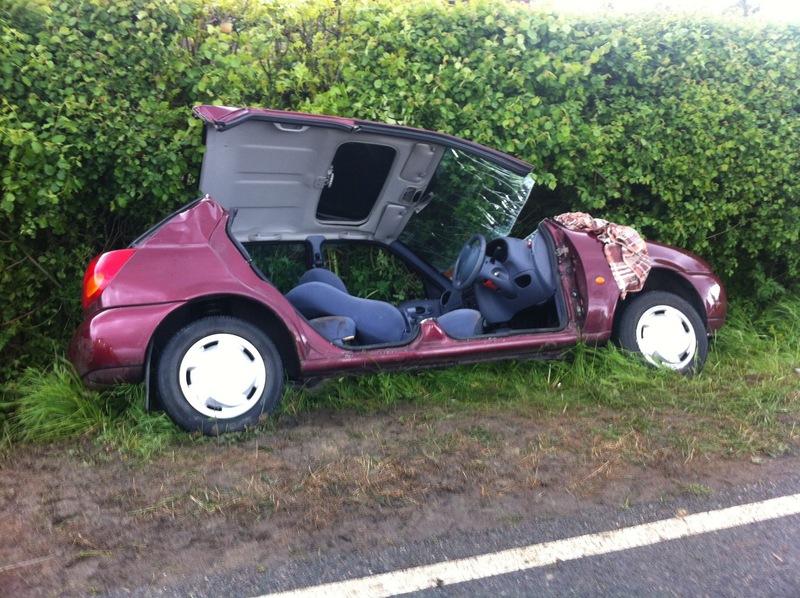 “A woman in her forties travelling as a passenger was trapped in the car. She was released and treated for abdominal pain. The patient was given pain relief treatment and immobilised with a neck collar and placed on a spinal board before being taken to Russells Hall Hospital by land ambulance. 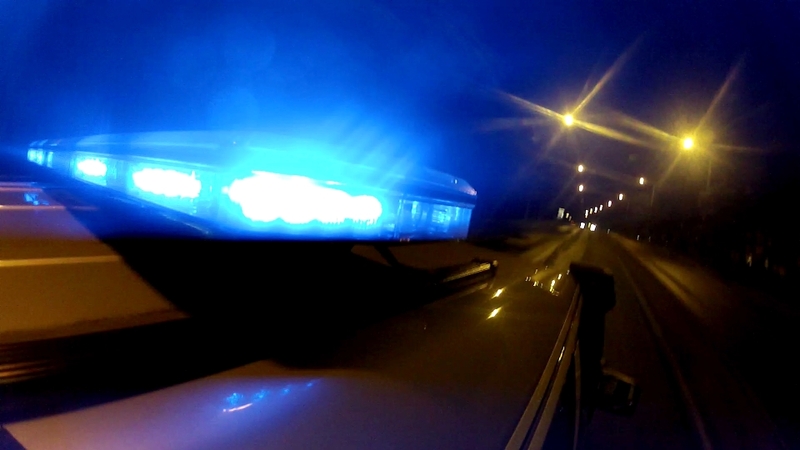 Are you ‘Blue Light’ aware? When you add the number of vehicles that our colleagues from the police and fire services use on emergency incidents, there’s a fair chance that you’ll see a blue light vehicle most times that you are on our roads. Assistant Chief Ambulance Officer, Daren Fradgley, said: “Our crews rely on the help of other road users to get to emergency calls where every second could make a difference. When our crews are on a ‘blue light’ journey, the actions you take could literally be life saving. Thursday 16th May 2013 – 3.15pm – Claire Brown. A man and a woman have been seriously injured after being in collision with a car in Wolverhampton this morning. West Midlands Ambulance Service was called to reports of a car which had collided with two pedestrians on Stubbs Road at 11.40am today (Thursday). Two ambulances, a paramedic area support officer, a responder paramedic and the Midlands Air Ambulance from Cosford with a MERIT Trauma doctor on board attended the scene. A West Midlands Ambulance Service spokeswoman said: “When crews arrived they found a man and a woman, both believed to be in their 20s, who had been seriously injured. The couple were reportedly loading items into the boot of their car when another car collided with them. “The woman sustained fractures to her leg and pelvis together with suspected internal injuries. The doctor and crews administered fluid and pain relief to the woman to stabilise her condition before she was fully immobilised with the use of a splint, neck collar and spinal board. Due to the nature of her injuries, the woman was airlifted to the regional trauma centre at Queen Elizabeth Hospital Birmingham for specialist treatment. “The man sustained a fractured leg and was given pain relief by crews before they carefully immobilised him with a leg splint, neck collar and spinal board. Crews conveyed the man by land ambulance on blue lights to New Cross Hospital. Thursday 16th May 2013 – 12.45pm – Murray MacGregor. As one of the country’s most ethnically diverse regions, it is only right that West Midlands Ambulance Service embraces that diversity and celebrates the rich cultures that abound. As part of that, the Trust is participating in the NHS Equality, Diversity & Human Rights week, (Monday 13th – Friday 17th May) which is coordinated by NHS Employers. After consulting with local communities and staff, the Trust wanted to ensure that staff are equipped with the knowledge and know how about local cultures and religions within the West Midlands. A series of snap shot articles on Buddhism, Human Rights, Hinduism, Christianity, African Caribbean communities have been distributed and displayed at every Ambulance Station to build awareness about local diverse communities. The articles are based on key facts, such as some of the religions and cultures, dietary requirements, cultural differences in dress, how to communicate with respect and dignity and key information on dealing with incidents of death. A series of other articles have also been written to raise awareness about patients with autism and learning disabilities, as well as bespoke training delivered to staff on deaf awareness. The final article on Homophobia, which will be distributed on Friday 17th ties in with International Day Against Homophobia. Trust Chairman, Sir Graham Meldrum, and Chief Executive Anthony Marsh recently signed up as a champion of the NHS employers ‘Personal Fair and Diverse campaign’. The aim of the campaign is to take action and drive forward the commitment to, building a personal, fair and diverse NHS. Sir Graham said: “We know that the needs of the different communities in the West Midlands differ considerably so it is vital that we ensure that we are able to meet those needs. “It is vital that we provide our staff with information about our local community needs and how as individuals we can play a part in delivering a service which values dignity, respect and fairness for all. “As part of our commitment to learning, the Trust will also receive a presentation from a local charity organisation based in Wolverhampton called ‘Gender Matters’, who will be sharing their knowledge of experiences faced by Lesbian, Gay, Bisexual and Transgender communities using NHS services. Thursday 16th May 2013 – 10.45am – Claire Brown. 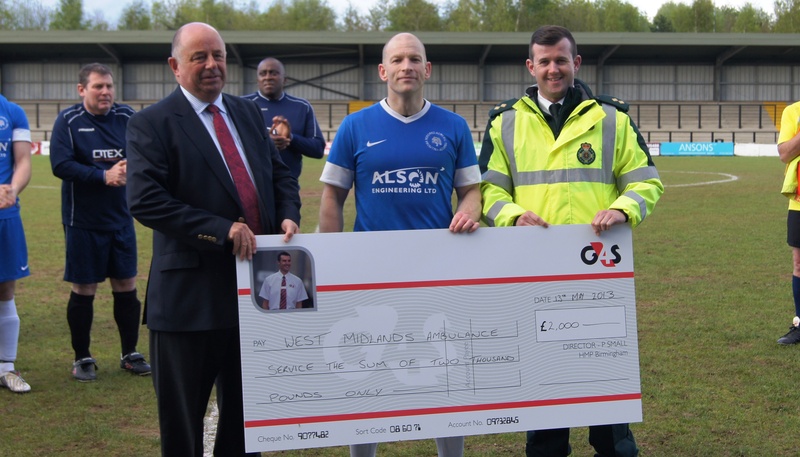 Prison officers from two of the largest prisons in the country swapped the prison wing for the football pitch this week to show their support for West Midlands Ambulance Service (WMAS). In November 2012, ambulance crews were responded to HMP Birmingham after four prison officers were attacked by a prisoner. Two had sustained serious injuries and after being given emergency treatment by ambulance staff, they were taken to Queen Elizabeth Hospital Birmingham whilst the two less seriously injured prison officers went to City Hospital for further treatment. On Monday evening (13th May) Hednesford Town Football Club at Keys Park hosted a charity football match between prison officers from the G4S-managed prisons, HMP Birmingham and HMP Oakwood. The match, which ended in a 3:0 win to HMP Birmingham, raised an impressive £2,000 which has been donated to WMAS to say thank you for the care they gave to the four prison officers. G4S Director for HMP Birmingham, Pete Small, said: “Prison officers are responsible for looking after some extremely difficult and dangerous offenders. While three of the four employees hurt are back at work, one of our colleagues is still recovering and we look forward to him re-joining us soon. Nathan Hudson, WMAS’s General Manager for Birmingham, said: “On behalf of the Trust I would like to thank G4S and the Prison Officers Association for their praise and support. 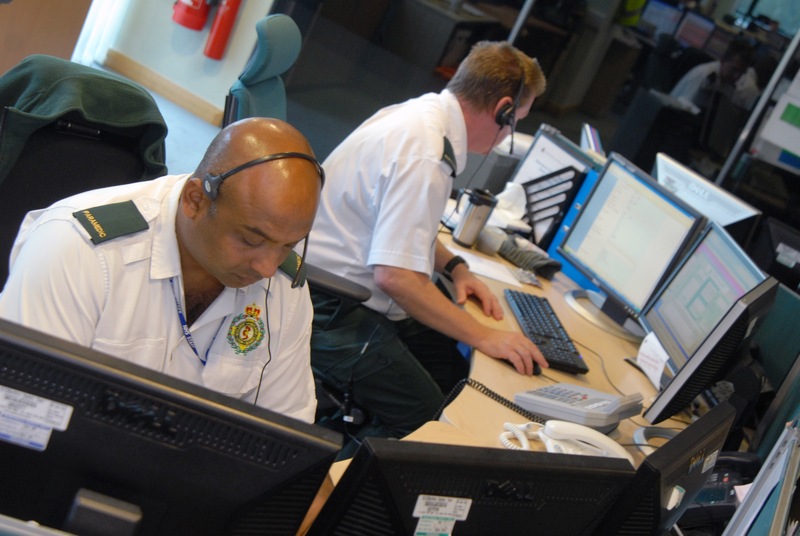 Our staff attend 999 calls, often not knowing what they’ll be faced with, to provide emergency life-saving care to patients. When ambulance crews responded to the prison in November, it was their quick thinking, pre-hospital treatment and use of the Regional Trauma Centre at Queen Elizabeth Hospital Birmingham which ensured that the prison officers received the best possible care in their time of need. Pictured (left to right) Pete Small (Director, HMP Birmingham) and Jerry Petherick (Managing Director G4S Custodial and Detention Services) handing over a cheque for £2,000 to Brendan O’Sullivan (Paramedic Area Support Officer) who was part of the ambulance response that attended the incident. Thursday 16th May 2013 – 8.55am – Chris Kowalik. An appeal has been launched for Community First Responders (CFRs) in and around the north Worcestershire town of Bewdley. CFRs are everyday members of the public who are trained in lifesaving techniques including the use of a defibrillator, a device used to restart the heart of someone who has suffered a cardiac arrest. Bewdley is within the catchment area of Kidderminster & District Community First Responders, part of Herefordshire and Worcestershire Community First Responder Scheme; a registered charity (number 1124035). Anyone wanting to become a CFR must be aged 18 or over, have a full driving licence and will be subject to a Criminal Records Bureau check. Applicants will attend a nationally recognised training course; covering Basic Life Support and Defibrillation, Medical Emergencies, Traumatic Emergencies and Preparing for Active Duty. They will then train alongside ambulance crews before going ‘live’. If you would like to become a Community First Responder, contact Phil Bowden (Co-ordinator of Kidderminster & District Community First responders) on 07980 871165 or phil@washhousedirect.co.uk, West Midlands Ambulance Service Community Response Manager Noel Orbell on 07980 094808, or the CFR Admin office on 01384 215855 or CFRAdmin@wmas.nhs.uk . An appeal has been launched for Community First Responders (CFRs) in Shropshire. Volunteers are particularly needed in Stiperstones, Pontesbury, Minsterley, Wem, Ellesmere, Alveley and Claverley. Wednesday 15th May 2013 – 5.10pm – Suzie Fothergill. 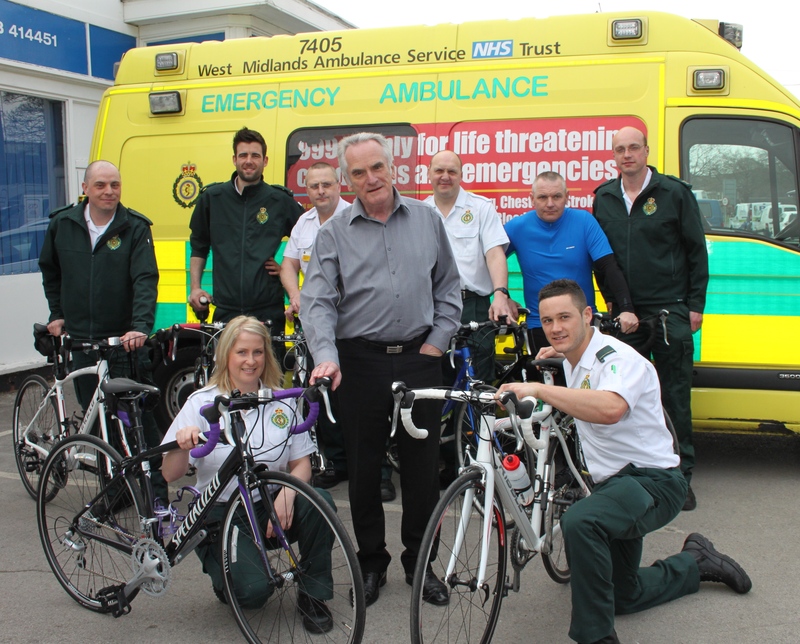 Nine members of West Midlands Ambulance Service staff will be gearing up for a 940 mile cycle challenge in a bid to raise £8,000 to help 6-year-old Fin. The team which is made up of paramedics and technicians predominately based at Lichfield Ambulance Station will be cycling a massive 90-115 miles each day, for 11 days, to try and raise vital funds in order to buy a special physio vest for friend and colleague Steve Roberts’ son, Fin, who has cystic fibrosis. Steve Roberts, WMAS Clinical Team Mentor said: “We’re over the moon with the support that we have received to try and raise the funds to enable us to get a physio vest for Fin, who has recently been quite unwell with his cystic fibrosis. “As well as the support from the cycle team, we have had received a great deal of help from the Little Treasures Children’s Trust who have helped us to provide a fantastic standard of treatment for Fin. Little Treasures have also offered to obtain the physio vest* for Fin, which will help to remove the mucus off his lungs. The team will begin their cycle challenge in John O’Groats on the 9th September and hope to cross the finish line 11 days later in Lands End. Technician, Katie Maughan, who will be driving the support vehicle during the challenge, has been working closely with Steve to organise the event. Katie said: “We’d like to express our thanks to everyone who has supported us so far. 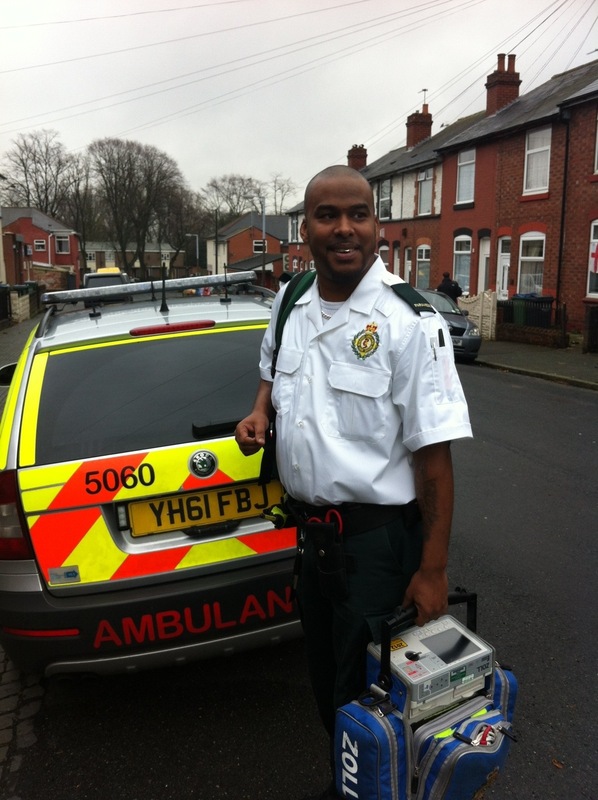 “Special thanks go to WMAS who have helped assist the team to take part in the challenge. A big thanks to Tempest Ford Lichfield, Energy Excel and Charles Design and Marketing who have all generously helped us with sponsorship, which will enable us to carry out the ride. “I’d also like to say thank you to G4S, Moor Hall Hotel, Burton Albion FC, Fairlawns Hotel, Drayton Manor Theme Park, Landrover and Rock 34 who are supporting us by providing cycle shirts and raffle prizes for additional forthcoming events. “Alongside this challenge many members of the team are participating in a number of other cycle events to help boast these vital funds. *The vest is made out of soft, flexible material and is connected to a small air compressor machine. The machine delivers burst of air into the vest rapidly inflating and deflating, which created gentle pressure and vibration on the chest helping to break up mucus and bring it up the upper air ways where it can be removed. 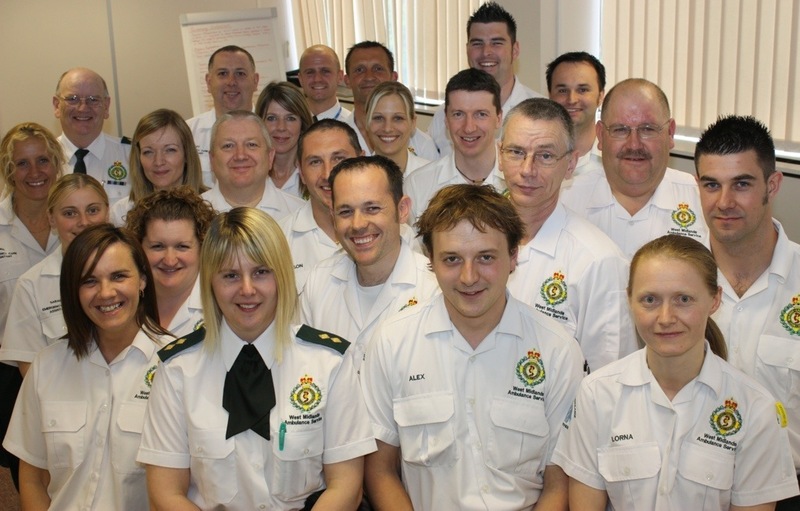 Pictured: Left to Right in Line: Katie Maughan (technician), Callum Grove (technician), Mark Beardshaw (technician), Keith Ennis (Clinical Team Mentor/Paramedic), Stuart Golby (Paramedic), Dave Mycock (Paramedic), Ben Popple (Paramedic), Stephen Roberts (Clinical Team Mentor/Paramedic) and Brian Carruthers- Managing Director Tempest Ford Lichfield. 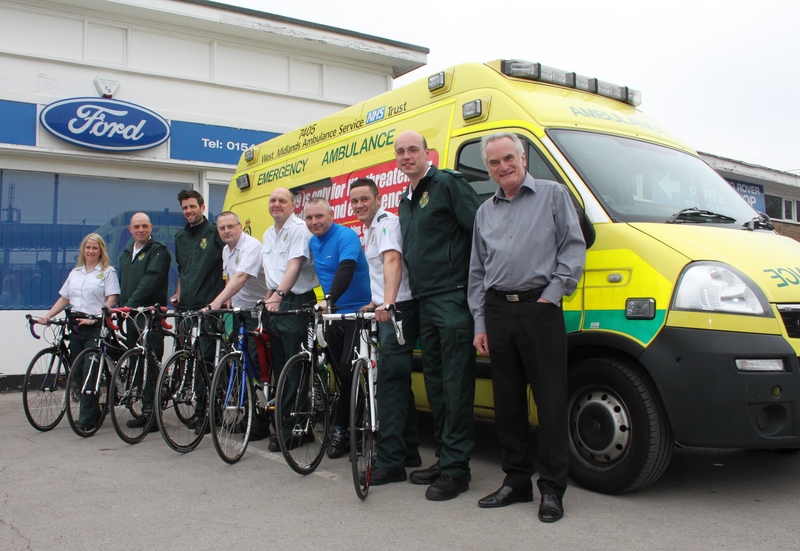 Paramedic Conan Hoult will also be joining the team on the cycle ride but is not pictured.